SMX-1, 4+ Channel Mixer from Synq Audio. Trs intuitive use by the requesting ffects qqs days to familliar with, it is understandable to beginners with no notice mM APRS but it happens to a lot of good stuff. Euuuuhh .. ca good question! Actually I did not ssay bcp table to compare the sound level but it seems not bad tt mM and with a super high volume was not bcp breath. rponse frquence in the trs is good and correcting stamp (assymtriques) are trs great job. For those who do not know, is the Synq premium brand of JBSYSTEMS .. 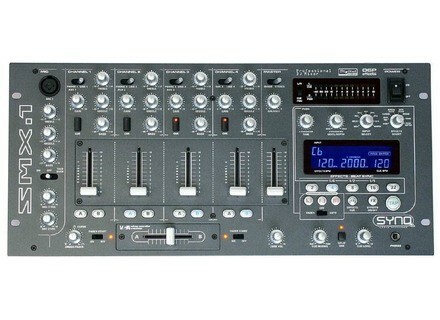 I'll spare aujourd'ui to spend a DJM600 but sinn 1000X I recommend for those who wish to table a medium-high end! It Mtonnes dailleurs it is sold so few in France ... But hey!